"It's my destiny," says Trinh Diem Vy, when I ask her why she opened her first restaurant outside of Vietnam in lucky, lucky Melbourne. Vy (say 'Vee') is from Hoi An, the graceful, coastal, central Vietnamese town where food is an obsession. In Hoi An, she's a restaurant rock star with four eateries, a cooking school and a boutique hotel. There were three big lures to Melbourne: excellent produce, her business partner is here and, most powerful of all, her daughter came to Melbourne to study. I'm grateful for the enticements because House of Hoi An is not your typical pho joint. 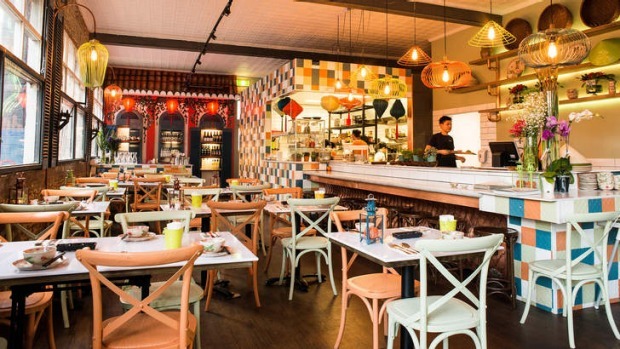 It's a brilliant addition to our Vietnamese dining scene, offering a fresh, impassioned take on familiar south-east Asian flavours in a colourful factory space, just off Chapel Street. 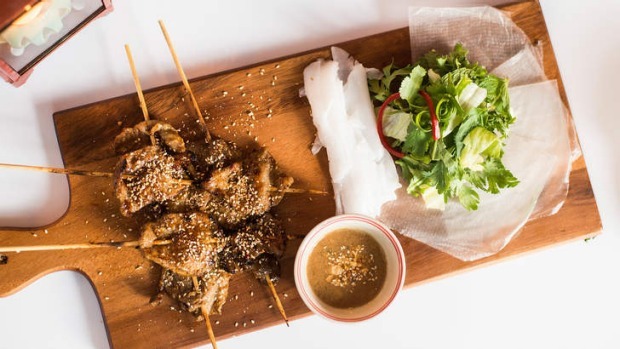 Key snacks include DIY rolls, either fragrant prawn mince wrapped around sugarcane skewers or juicy barbecued pork, served with dry but quick-softening rice paper, noodles and greens. 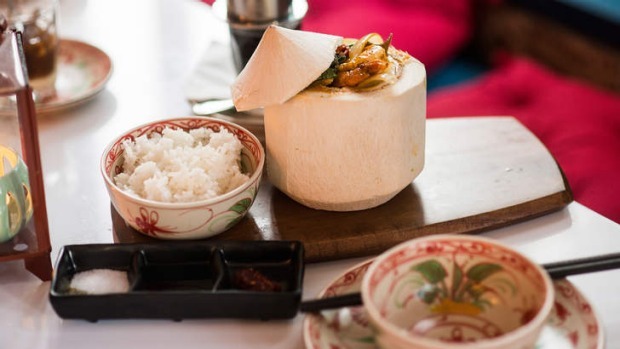 The ooh-I-wish-I-ordered-that dish is the prawn curry, sauteed with coconut cream then piled into a young steamed coconut. The curry is gentle and enticing; scraping the soft, sweet flesh from the coconut takes it to the next level. Fish in caramel sauce is subtle but winning: palm sugar, fish sauce and pepper are cooked to a caramel, then thinned to a braising liquid for mackerel fillets, which are coaxed to sweet surrender. I can't write about it without drooling. Country chicken hotpot is studded with "eight treasures" – various medicinal dates, spices and roots such as ginger and ginseng. 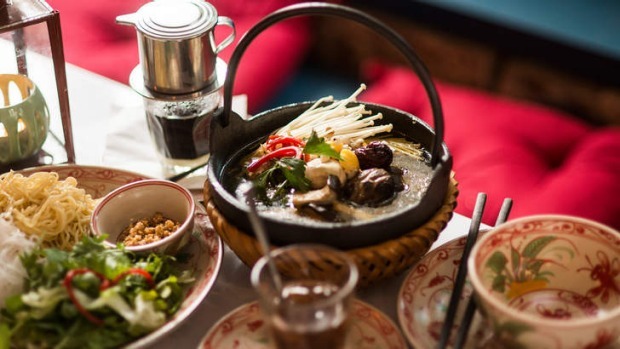 It's served in a claypot over a gas burner so diners can finish the dish by adding mushrooms and noodles: it's fun, tasty and has purported "cooling" properties. There's also a succulent, aromatic cinnamon beef stew and Hoi An's classic cao lau rice noodles served with pork (or tofu) and crisp croutons. And – oh my goodness – there's squid stuffed with an addictive mix of minced pork, shrimp and mung bean vermicelli, so ridiculously delicious that I plan to sneak in and eat one all by myself. Vy is back and forth between here and Hoi An but when she's on site she's a delightfully poised presence, likely to pass by to make sure you're ecstatic. Next time she visits my laden table I'm going to tell her how glad I am that her destiny made this lovely food part of my destiny too.